If you've not yet had the opportunity, check out an ABB drive utilizing DTC (Direct Torque Control) with a properly Autotuned VFD capable Motor, you can achieve Torque control at Zero speed. As for PM motor control, the complexity is high, yet we have accomplished very good control with Resolver feedback for Pole alignment, adequate cooling, and alternative bearing types at extended HP and RPM levels. Todays processor and power module technology is enabling what has until now not been possible. In fact, achieve 100% rated torque at zero speed - for a short period. And then calculation errors will begin to add up, and the control will become unstable. But if you only need it for a few seconds, the DTC algorithm does work very, very well. DTC (Direct Torque Control) or any other good, stable speed-sensorless algorithm can pass *through* zero speed after it is aligned and the flux observer has stabilized at a speed above zero. They can even dwell at zero speed briefly. 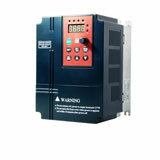 But, the errors will quickly stack up and the VFD will lose field orientation. 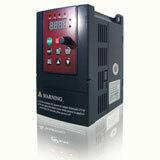 Interior PM machines, or specially-designed PMSM can be controlled at zero speed using high-frequency injection. I know ABB and Baldor-ABB have VFDs that can do this on IPMs.